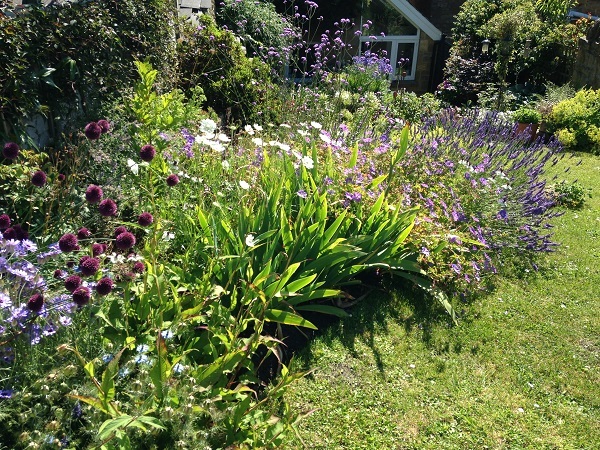 Sally Gregson spoke to us about ’21st Century Cottage Gardens’. She examined how our concept of cottage gardening has changed over the centuries and how it seems to be developing in the 21st century. The poor were living in abject poverty, gardens were for the wealthy. 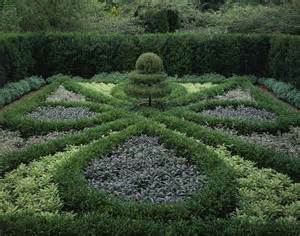 Gardens tended to be planted with herbs, dye plants, plants for strewing on the floor… in formal layouts. New plants were arriving from the Americas… the rich swapped plants amongst themselves. 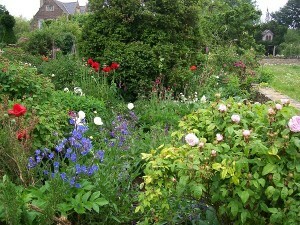 Cottage gardens became more popular and more affordable to the middle classes. Fruit and vegetables were being grown alongside each other, garden produce shows emerged and displays such as ‘Auricula theatres’. Formal carpet bedding displays were popular amongst the rich. These were very labour intensive and exploited the new tender plants being brought in by plant hunters. William challenged the fashion of carpet bedding, proposing a more naturalistic style – a style we tend to think of as the ‘cottage garden’. 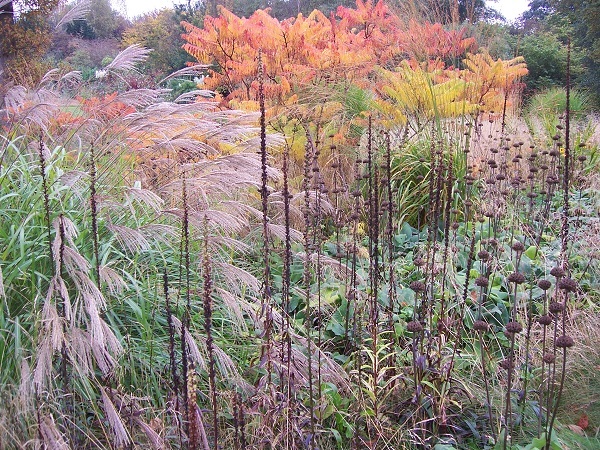 He proposed no colour scheme, just loose groups of plants with an element of self seeding. Gertrude Jekyl, an artist who came to gardening in her 50′s. She understood colour and built on William’s ideas introducing colour schemes (her book ‘Colour in the Flower Garden’), Ref: Hestercombe gardens. Vegetables were no longer grown alongside flowers since there was more mass production of food. 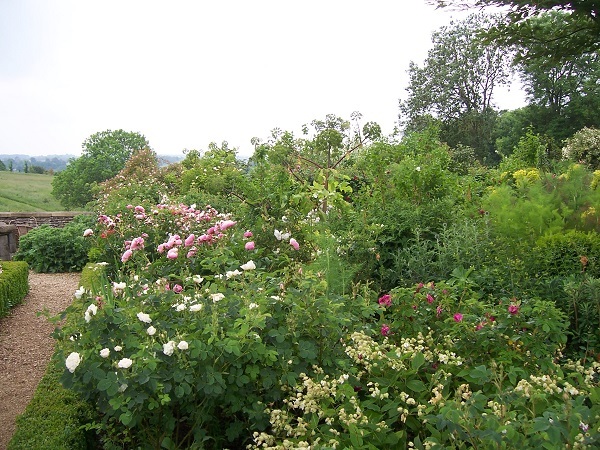 Vita Sackville West, another influential gardener whose garden at Sissinghurst is preserved. She was not a gardener but developed some of her own principles: “To be ruthlessness; if some thing is displeasing then change it. Not to be too tidy in a garden, allow some self-seeding, allow some wild flowers mixing with cultivated plants. 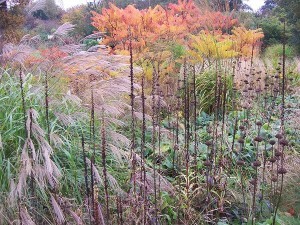 Have an architectural plan, a colour plan and a seasonal plan”. 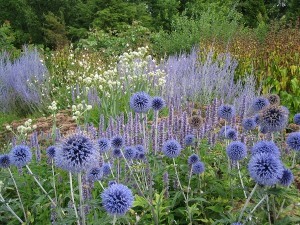 She created ‘Persian carpet’ effects of spring bulbs, planting large groups of different varieties to ensure successional flowering. Rosemary Very wrote many books promoting ‘cottage garden’ plants. 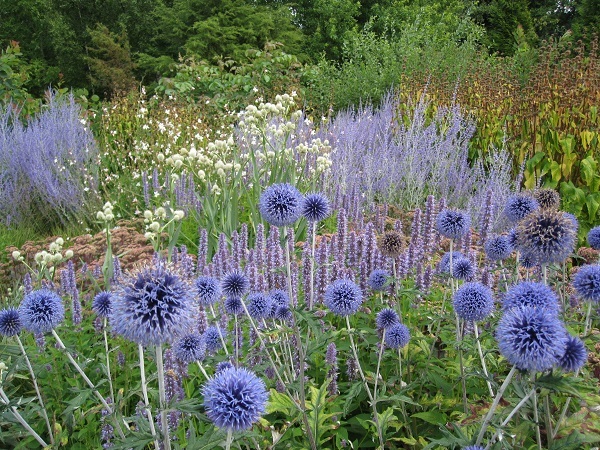 Christopher Lloyd, garden writer and TV personality, made the garden at Great Dixter his own by experimenting with profuse yet structured plantings, he featured many bold experiments of form, colour and combination. Mary Payne promotes ‘prairie gardening’ as a way of reducing maintenance, this can be done on a small scale as in her own garden in Bristol.